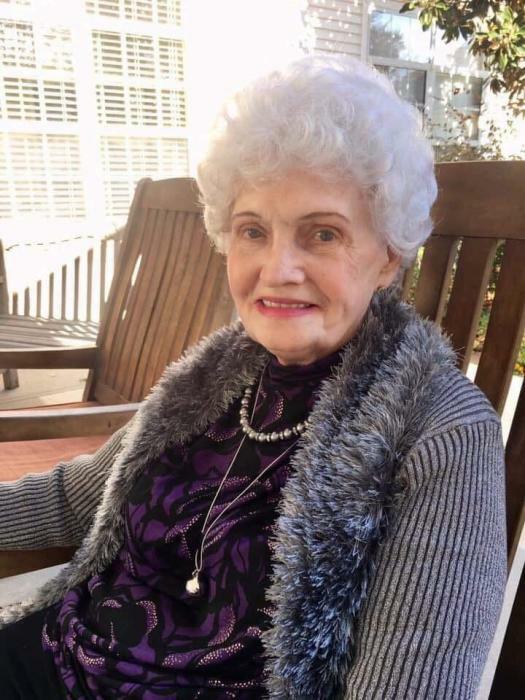 On Sunday morning, March 24th, 2019, “Mother Lovett”, as she was often called by her “boys”, went home to be with Jesus, her Lord and Savior. “Mother Lovett” was also known as Fae Lovett, and her “boys” were the inmates at Coastal State Prison, who attended her Friday morning Bible studies, which she held for almost 40 years. During these Bible studies, many of these men came to know Jesus as their Lord and Savior, and experienced first hand that “whom the Son sets free is free indeed”(John 8:36). In Matthew 25, verses 35-36, Jesus said “For I was an hungred, and ye gave me meat: I was thirsty, and ye gave me drink: I was a stranger, and ye took me in: Naked, and ye clothed me: I was sick, and ye visited me: I was in prison, and ye came unto me.” Fae Lovett took these verses to heart, and often was heard to say that she was serving a “life sentence” at Coastal State Prison. For 40 years, Fae was the wife of Grover Lovett, who went to be with his Lord in March of 2009. For the time being, she leaves behind her two daughters, Teresa Ann Tuten of Colorado, and Rita Fay Blocker (David, Fae’s son-in-love) of South Carolina; four grandchildren; seven great grandchildren; and one great great grandson, Weston, who was often known to light up his GG’s life; and one sister, Ms. Joy Neal. Funeral services will be conducted 3 o’clock Saturday afternoon, March 30, 2019, from Bonaventure Funeral Home, 2520 Bonaventure Road, Savannah, Georgia. Interment, Forest Lawn Memory Gardens, 315 Greenwich Road, Savannah. The family will receive friends during a time of visitation Saturday afternoon prior to the funeral ceremony beginning at 2 o’clock in the Chapel at Bonaventure Funeral Home.